You know her, you love her, but it's not always easy to talk to her. Who is it? It's your mom. The Pink Locker Society has received 25,000 questions in the last year and lots of those questions have something to do with mothers. Like...I really need a bra but I can't ask my mom. Or...I want to shave my legs but my mom won't let me. And...I think I'm going to get my period soon, but I'm afraid to say anything to my mom. Of course, these topics are a little embarrassing. You might not feel super comfortable leaping into a talk with mom about the PBBs (periods, bras, and boys). Maybe you and your mom have NEVER talked about this kind of stuff ever before. So I say start out with something easier. Find ways to get a tiny bit closer to your mom. Please comment below to share some of the compliments you gave your mom - and let us know the nice things she said about you! The five-compliment idea comes from Dove. Dove is the same company that puts REAL women in its ads, so I already like them. And Dove is doing a huge new push to promote girl self-esteem (that's you, feeling great about yourself). 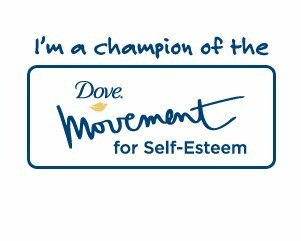 Ask your mom if you and she can do something special together during Dove Self-Esteem Weekend on October 22-24. Get more info at the Dove Movement site. And I'll be posting more mom-daughter tips over the next few weeks. im kinda have a problem with that, too! Anyone wanna give us advice??? bond closer. Your answer is appreciated. Really I would like for you to answer back. I know all about mom arguments. But I also want to be close with my mom. Why not give her 5 compliments - maybe write them down on a homemade card? And see what happens next. Can she think of five things she likes about you? I hope so! Let us know how it goes! U no with the PLS books r they available in Australia cause i hav looked at every bookstore that i can and i cant find the books!!! And if they arent in Australia at the moment when r they coming? Jemma, my mom was scolded me because last week I got C-. How to say sorry to my mom? Just tell her with confidence and try to be calm. When I got my period, my mother calmed me down and told me soothing things, so it got easier to talk to her. Good luck to you guys who still haven't been able to talk to your moms easily about this stuff, though! Thanks for the advice. My mom and I get along now(not as much as most girls and their moms though). Once again, thank you for the advice. that's what i do, when ever my mom is looking for her stuff like bras and stuff I just go up to her and say "oh mom I think IM growing up and i need one of these." hope my advice helps. can some1 answer Question Gals Question I am having the same problem!!!! can u plz update ur blog more often! should i talk to my mum about my crush? can u answer the questions? i need help. my dad and mom talked to me about periods, but i need to know more and i dont want to ask them. right now im in the area of getting a period.what do i do? It depends who you mom is and how good of a relationship you have with her. Than, basing your decision on that, you can decide when and how to ask her. I'm always afraid she'll crash the car (out of shock) if i tell her something like that while she's driving. Try just before bed. than you can go to sleep and wake up in the morning feeling fresh and proud that you did it. I find that it's just starting thats hard. Once you get going, everything is so much easier. Mentally prepare yourself. Think about what to say and how. Visualize it, and know it. Hope i helped and that i wasn't too bossy! * I have REALLY hairy legs and my Dad thinks I need to start shaving but my Mom doesn't. What can I do about either of them? Most of my enimies in my class (grade 6) are always talking about me behind my back and saying "she has to wear a bra" and i ask my mom but she says that "no u dont need a bra" wat do i do? I know what you're saying even though me and ymy mom are really really close I still have a VERY hard time talking to her. Go to another adult or and older sister(if you have one). I had to go to my Aunt about one of them and she took me and now my mom knows. it was super embarrissing when i had to tell my mom that i got my period and when i told her i needed to shave. anyone have advice? Don't be afraid. Just visualize how you are going to tell her and do it. I love my mom but im not very close to her at all. She isnt close to her mom either cause personal reasons.I cant talk to my mom about anything cause she gets all mad too easily and becomes a pain.She doesnt tell me im beautiful or complainment me or anything. other people like girls that I've grown up with are closer to her than I am and how she treats them and she doesnt get me and she judges me and doesnt tell me she loves me all the time. just feel hopeless.. I am very much alot close to my dad and he's my hero and a angel to me. My mom will not let me wear a bra but I need one. And all my friends wear them so feel so left out. What do I do. one question me and mom constintly fight how am i suppose to talk to her if she wont listen. I don't know how to approach my mom about wearing a bra, she seems like she doesn't want me to grow up. Any tips? yuo know that my mom and i havent gotten along that well either. i know how you feel mikayla. My parents got divorced 2 years ago & now my mom is remarried. And she's pregnant. I'm really mad at her for it. What should I do? I like this one boy and I don't know how to tell my mom about it. I also want to talk to her about dating boys. I'm scared it will be very awkward & she will tell my dad. PLEASE HELP ME?! Ur older sis or gramma might b able to convince her. I honestly wouldn't. But all that matters is confiding in someone you trust. Don't tell some one if u think they might tell some one. But be prepared, she might tell your father. Remind her that you will try really hard to keep your grades up and one bad grade probably won't affect your final grade too much. And that you are human. No one is perfect. She has probably gotten a C on a test before too. 3. and i love that she`s doesnt get too involved in my personal life issues even though she sounded like that kind of mother from the last 2 points. can u giv a list wih ways 2 talk? I've never been on one of these sights before but I really am needing help talking to my mom. We NEVER get along and I find it very hard to open up to her because she gets so mad very easily I feel like I'm walking on eggshells when we talk. I've been trying to be more open with her because she gets mad that I'm not but then when I do she gets mad about whatever I tell her and then we fight and it seems like we never resolve our problems. Part of the reason is because I get really quiet when I'm frustrated and I don't want to make the situation worse. I almost get choked up like I have stage fright and I was wondering if anyone has any tips or suggestions on how I could work on that? Can Krystal Beat "Spotlight Phobia?"